It’s been awhile since I updated you all on the behind the scenes of my life! I’ve been spending a lot of weekends this Summer in San Diego visiting someone special! (Small Fry edit: Nicole is coy, but he’s more than someone special, and we knew when Nicole was crying happy tears with no sad ones that we’d be his biggest fan!) It’s been so fun but a lot of vacation time is rough on the bod, ya know? Eating out three meals a day, even if you are making healthy choices, is a struggle. So when I got settled back at home I knew I needed to reset! 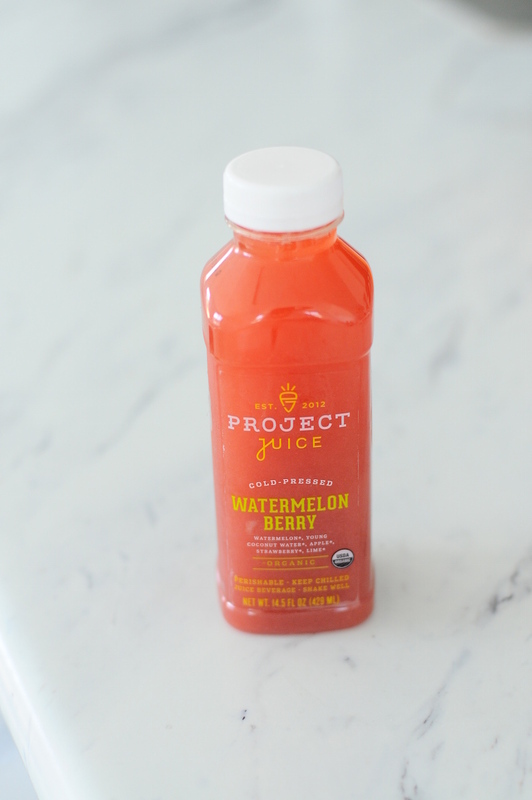 Project Juice to the rescue! I chose to do a two day cleanse. I’ve done a three day once before in the past, and I loved it! But the two day seemed more doable since I’ve been out of practice. My experience with Project Juice was exactly what I was looking for! I went from feeling weighed down and tired, to feeling refreshed, clean and energized in two short days! I was reset after finishing the cleanse. Back on top. Back to myself. The energy to be active and the desire to continue again with healthy eating habits! Each of the juices I chose were picked specifically for my taste and needs. Except the Black Magic chose that one because, I mean, it’s incredible looking! And it was equally as delicious! I loved being able to tailor the cleanse perfectly to my liking. I enjoyed every moment when some cleanses in the past have been less enjoyable. Feeling like you are choking juice down isn’t the best way to spend three days, right? mesa, vista, uppa! Adjusting to 3!